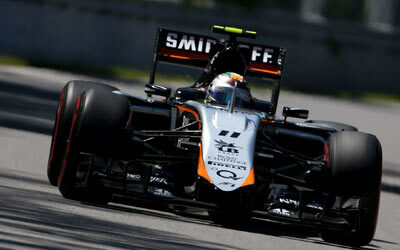 Sahara Force India will see both its cars start the Canadian Grand Prix inside the top ten tomorrow as Nico Hulkenberg set the seventh fastest time of the day ahead of Sergio Perez in tenth. Robert Fernley, Deputy Team Principal: “It’s been a great effort by the team to get both Nico and Sergio inside the top ten today. The car has been well balanced around here since the first session yesterday, so it was a matter of building on the data we got overnight to continue improving the set-up.